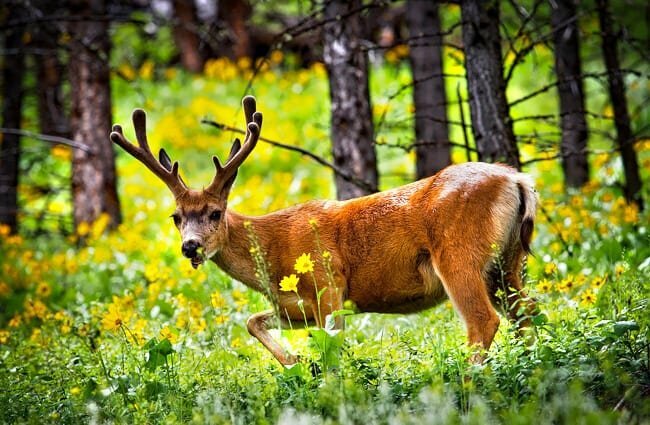 Mule deer are a large species of deer that live in North America. While they look like their relative, the whitetail deer, this species lives mostly in the western United States. You can differentiate them from their whitetail cousin by looking at their ears. 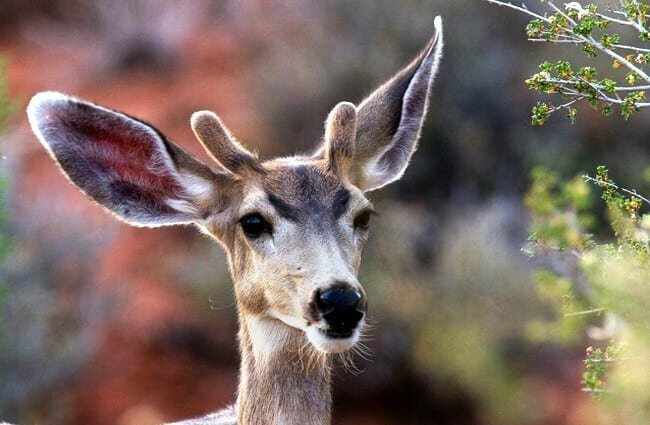 These deer have large ears, which look very much like those of a mule. 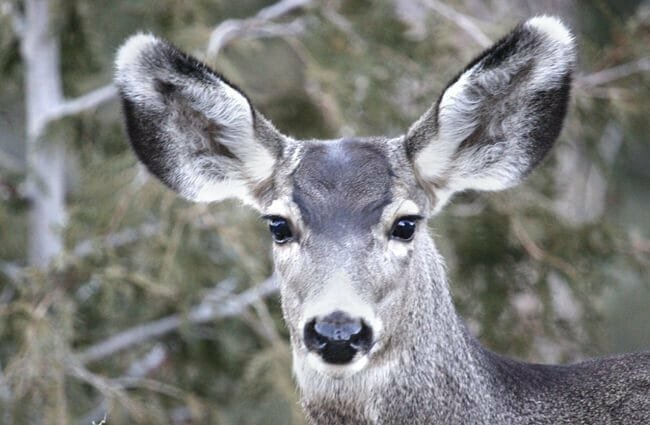 Read on to learn about the mule deer. This species is quite large, and some individuals can stand over 42 in. tall at the shoulder. Most weigh no more than 331 lbs. but some individuals have reached up to 460 lbs. 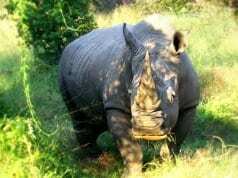 There are 10 different subspecies, some of which vary greatly in size of color. Like their whitetail cousins, females usually do not have antlers. These large deer are quite unique creatures. 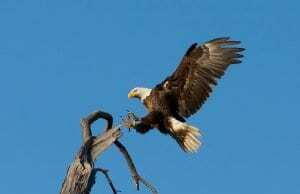 They have a number of interesting behaviors and traits, learn more below. Stotting – Mule deer have a very unique way of running. While they can run the “traditional way,” they commonly run in a more unique fashion. These deer frequently run by stotting, which is where they hop along and land with all four feet at a time. Antler Velvet – After deer shed their antlers, they quickly begin to grow them back. Their new set of antlers grows with a cover of skin, called velvet. This velvet has blood vessels to help the antlers grow. Once their antlers finish growing, they shed the velvet. 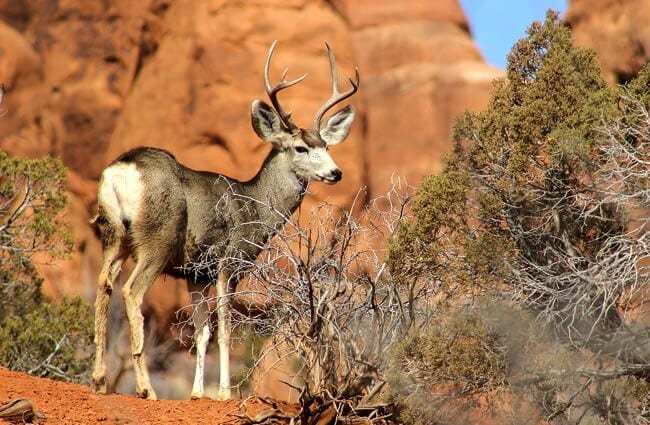 Formidable Prey – A healthy adult mule deer is a tough adversary. Predators rarely attempt to attack adult deer, but prefer to hunt old, young, or sick animals. 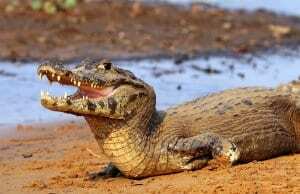 This species’ most common predators are cougars, coyotes, and gray wolves. 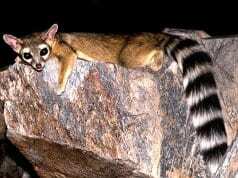 The preferred habitat of this species varies based upon the region, and different subspecies have different habitat preferences. 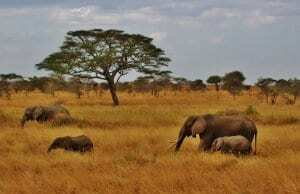 Across the species, they live in a wide range of different ecosystems. 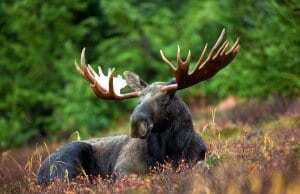 They live in grasslands, meadows, forest edges, desert scrubs, boreal forests, and more. In some areas, this species also lives in agricultural areas and pastures. Various subspecies of this large deer live across most of North America to the west of the Mississippi River. They live as far north as southern Alaska, and as far south as Mexico. 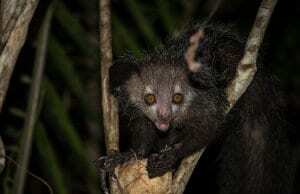 Throughout this range, different subspecies inhabit virtually the entire continent. 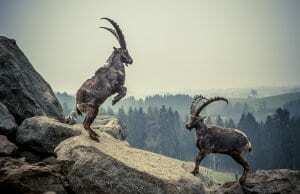 The Rocky Mountain subspecies has the widest range of the numerous subspecies. 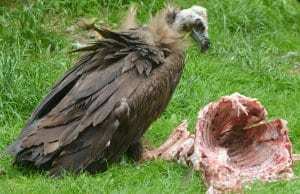 As with their range, the different subspecies and regions have different eating habits. These deer also feed on different types of plants throughout the various seasons. During the winter, when grasses are more difficult to reach, they feed more heavily on trees and shrubs. During the summer, they favor flowering plants. Overall, these deer eat a wide variety of vegetation, from fruits and seeds to grasses and leaves. 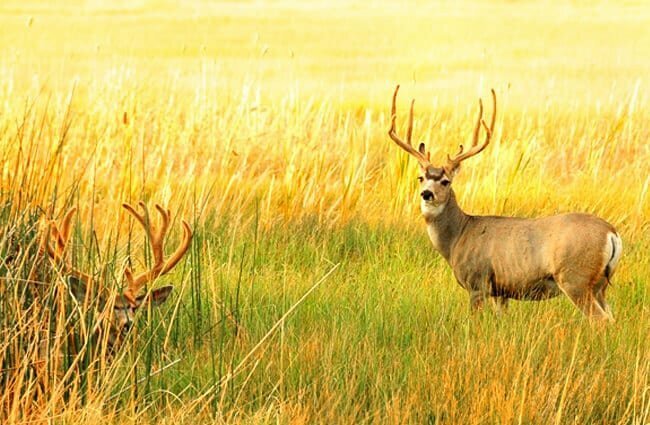 Just like their whitetail cousins, hunting is an important population control for mule deer. Because human activity suppresses large predators, deer populations boom. This population boom causes disease and starvation. 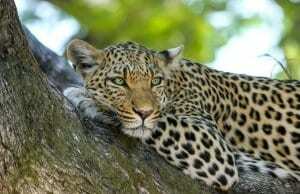 Of course, some subspecies have very small populations, and laws protect them from hunting for this reason. Humans have not domesticated mule deer in any way. No, mule deer do not make good pets. 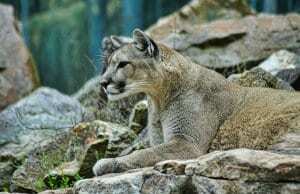 They are large, wild animals, and can be potentially dangerous. In a zoological setting, caring for these deer is quite similar to other deer species. 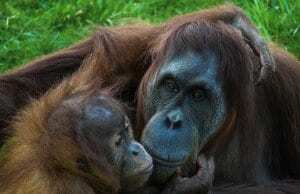 They are social animals, so zookeepers keep them in herds. These groups must have plenty of space to roam, and a variety of different plants to browse on. Their diet is mostly hay and pelleted food, with fruits and veggies mixed in. 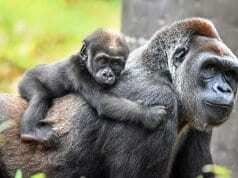 Zoos have never kept some subspecies, while they more commonly keep others. 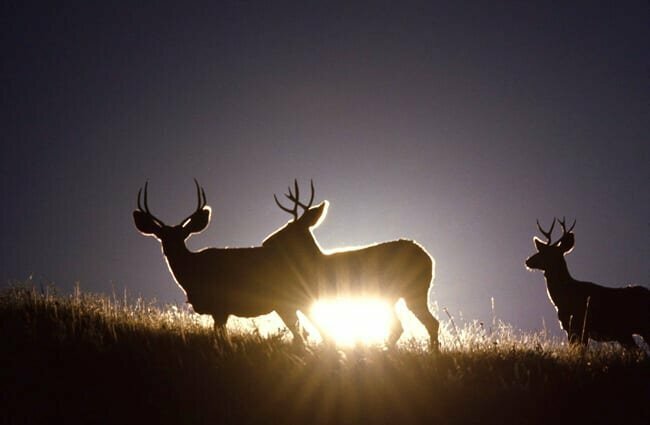 This species is relatively calm outside of the breeding season, which is called “rut.” When rut begins, the females become receptive to mating and the males fight for dominance. During rut the male deer are increasingly aggressive, and the most dominant male breeds with the most females. Outside of breeding season, herds are relatively peaceful. Female deer, called “does,” mate with several males, called “bucks.” The gestation period is around 200 days long, and it is very common for does to have twins. Occasionally, does can produce up to 4 fawns per pregnancy! The fawns reach sexual maturity at 18 months old, but males usually do not breed for several years. Grasslands, meadows, forest edges, etc. Humans, cougars, coyotes, wolves, etc.